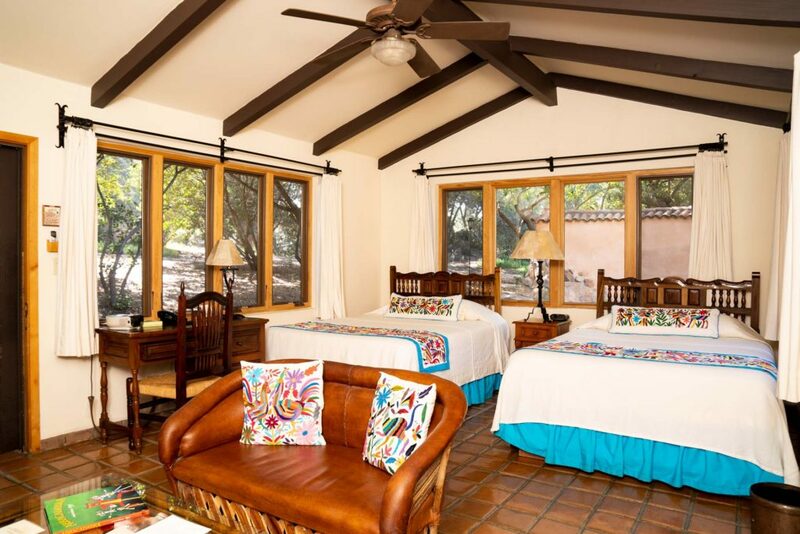 Dwell in beauty and privacy in one of our 86 casitas tucked away in luxuriant grounds. Each has a distinct personality and architectural flair. 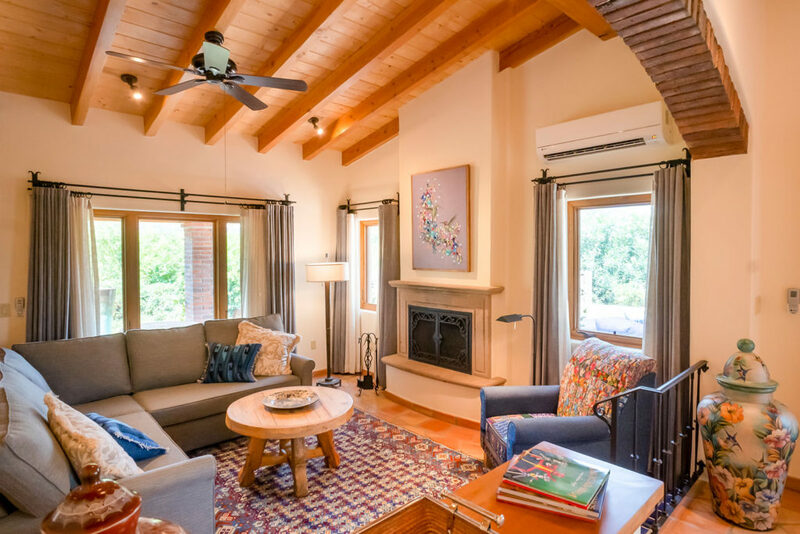 You’ll be welcomed with wood beamed ceilings, sweeping archways, hand-painted tiles and museum-quality folk art. All accommodations have attached patios enveloped in nature. Most have fireplaces, a hallmark feature at The Ranch. 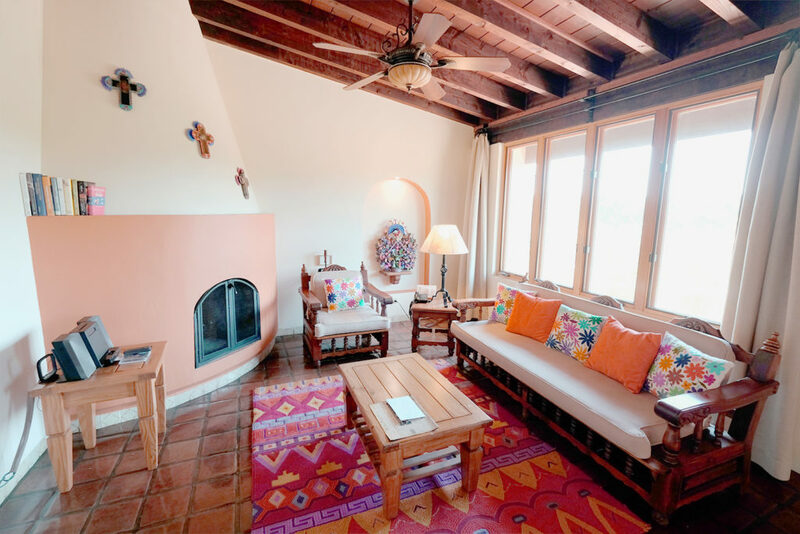 While casita means “little house” in Spanish, many of our lodgings exceed 1,000 square feet with space for relaxing, writing and reflecting. My casita’s patio was heaven: I loved stepping outside in the morning to watch the birds hop along atop a sun-warmed boulder beneath the oaks, while the morning sun descended Mt. Kuchumaa like a golden curtain. 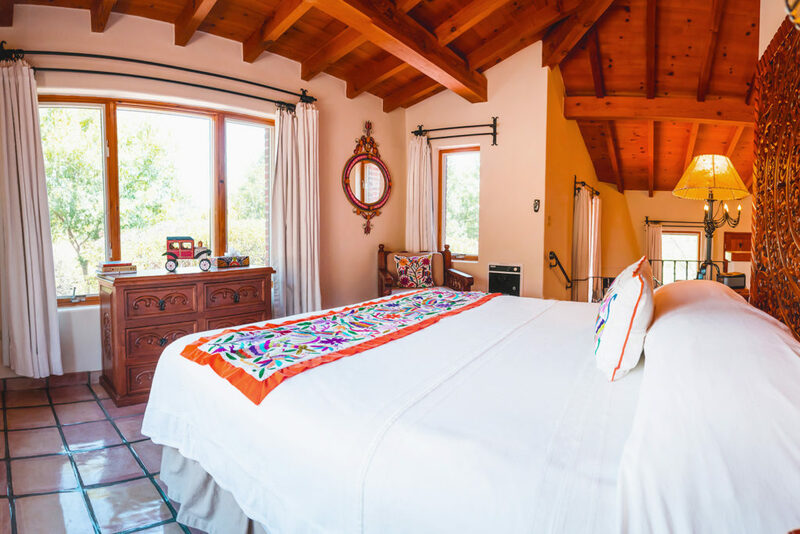 Ranchera Solos are roomy studios with one bed. They are comfortable for one guest and are built in clusters in central areas closest to the Dining Hall and gyms. 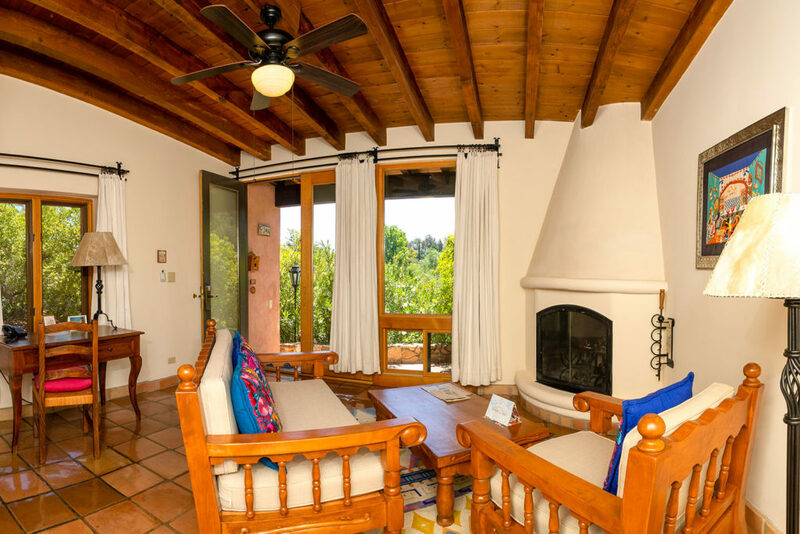 Rancheras are roomy studios, comfortable for one or two guests and closest to the Dining Hall and gyms. Our spacious Junior Villas have bedrooms that are more separate from sitting areas. 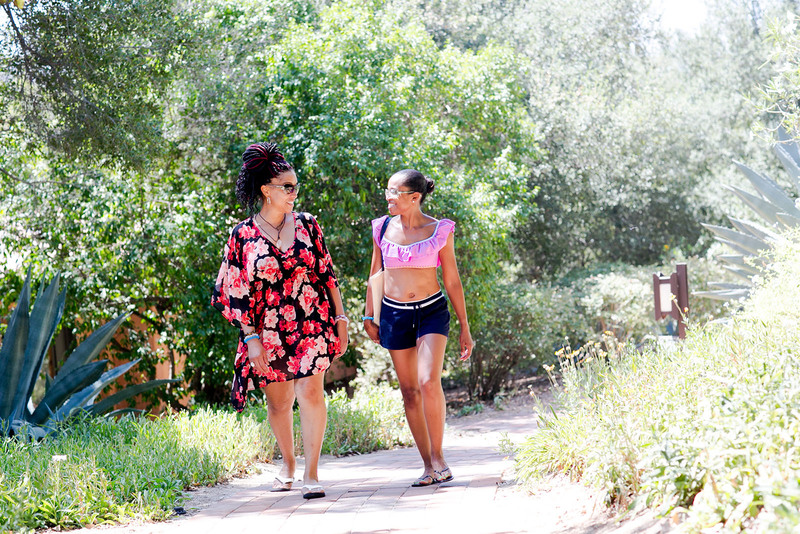 Villa Studios are the largest “studio” units at the Ranch, many accommodating up to three people. 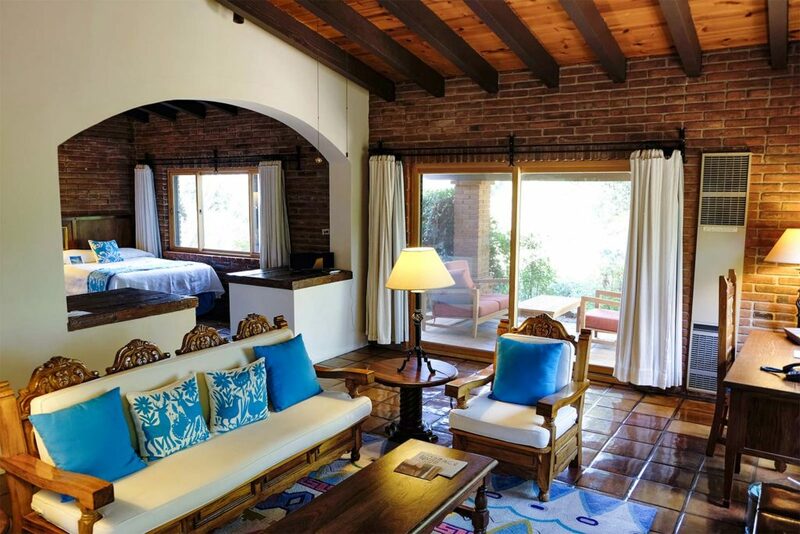 Cielo—a “heaven” or “sky.” Villas Cielo offer their guests very private sanctuaries.